It is getting to the point when the average American will no longer need to shop in an actual store for the goods they desire. As much as I try not to let this happen in my own life,reality smacks me in the mush and reminds me to update the Amazon app on my tablet. And I update the app with pleasure. Not Krude. Totally not Krude. But necessary. It's really cool to see vinyl records make a comeback as of late. But my issue with that is : Find me a record store. There is only one record shop within 20 miles of where I live. Sad. That's why kids buy mp3 downloads as their prime source of music. Finding my usual toiletries often requires a few mouse clicks and a wait of two days for delivery. Just a scant few years ago,those same toiletries were easily found in local shops. It seems as though most businesses would rather deal with mail order than worry about their product being in stock on some shelf. Alcohol may be the exception to all of my above yakking. It is hard to imagine having to wait a few days for a shipment of booze. Or even same day delivery. To have that bottle(s) in your hand with the cash to pay for it is godhead. But who knows? 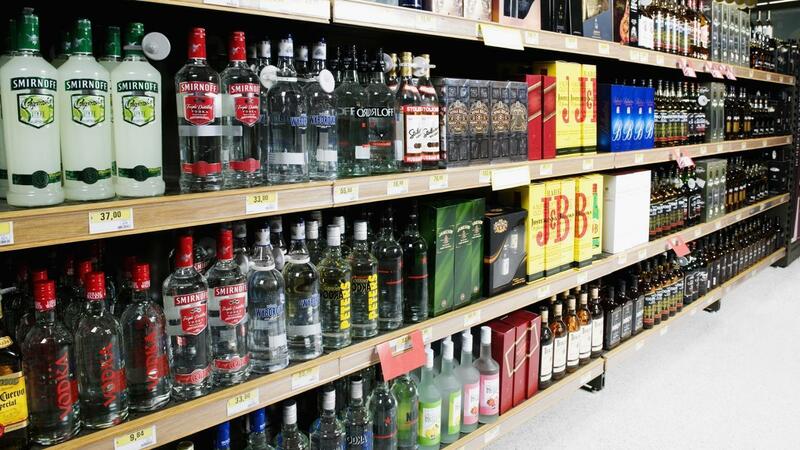 Maybe liquor stores will be the next batch of point of purchase shops to go extinct. Hope not. I like to pay with cash whenever I make a purchase somewhere. Using a plastic card with a 'chip' to make a purchase is kinda creepy. I don't care about any bonus that using a credit card frequently would give me. Cash is where it's at. That is,until babies are required to have 'chips' placed inside them at birth. I don't think we're too far away from that as of today. Sad.